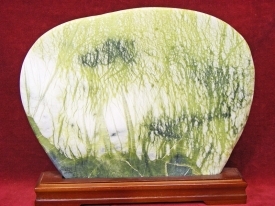 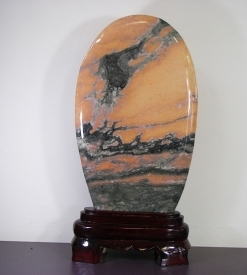 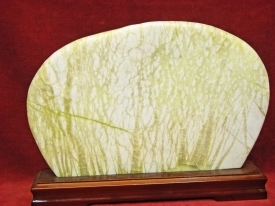 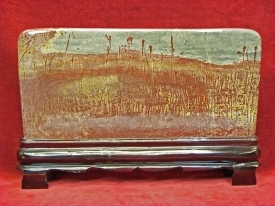 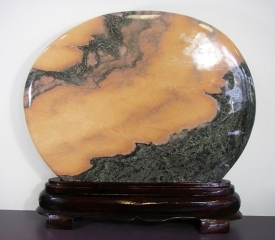 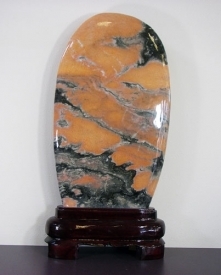 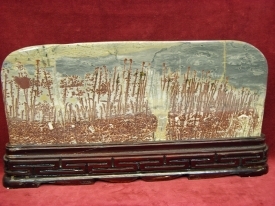 CHINESE PICTURE STONE ART. 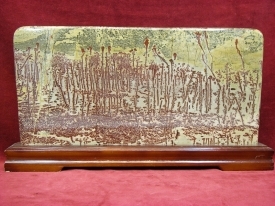 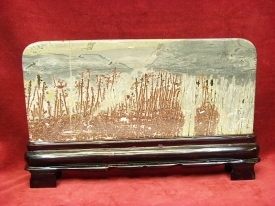 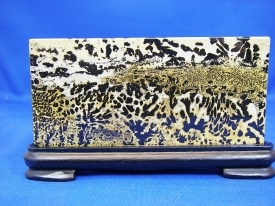 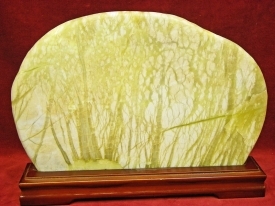 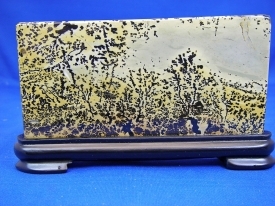 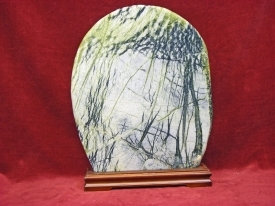 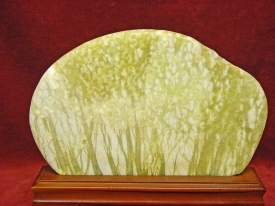 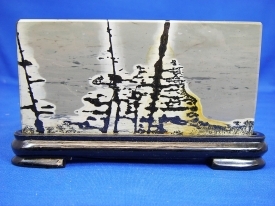 THESE BEAUTIFUL CHINESE PICTURE STONE DISPLAYS HAVE MANY SCENES OF TREES, POND PLANTS, ROOTS AND GRASSES. 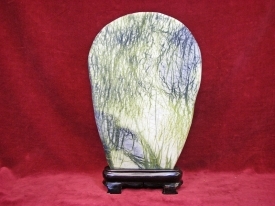 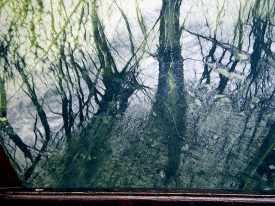 MANY ARE OPAQUE AND WITH SUNLIGHT OR OTHER LIGHTING BEHIND THEM, THE SCENES BECOME ALIVE AND BRILLIANT. 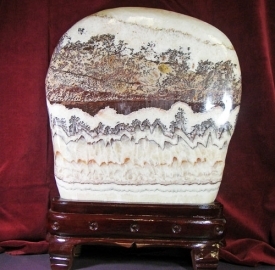 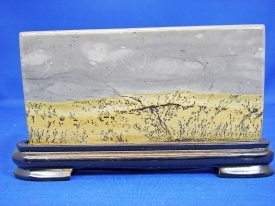 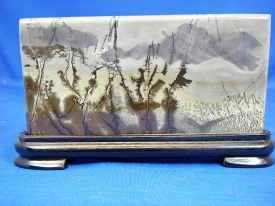 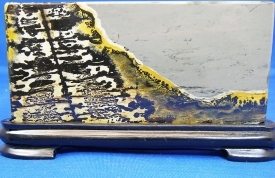 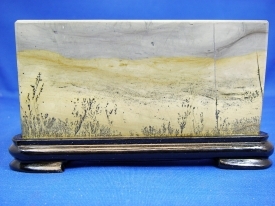 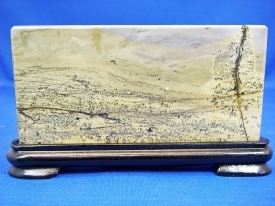 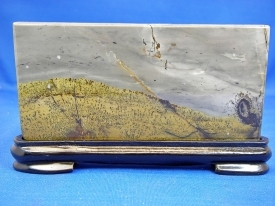 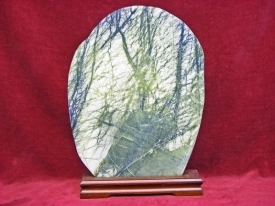 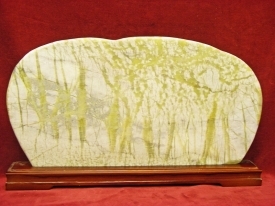 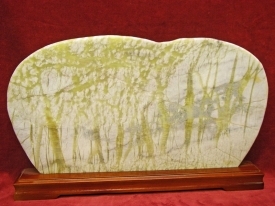 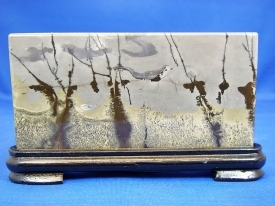 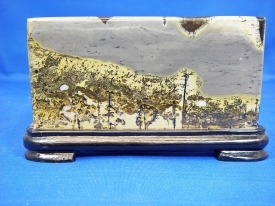 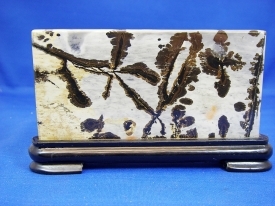 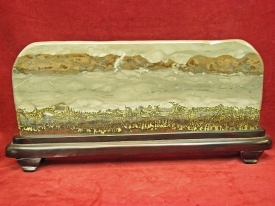 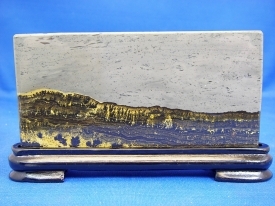 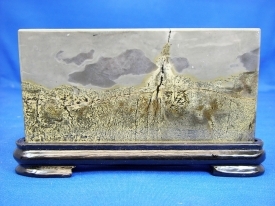 ALSO LISTED ARE CUT AND POLISHED SOLID ROCK DISPLAYS WITH SCENES OF PLANTS, GRASSES, MOUNTAINS, AND SKY NATURALLY FORMED IN THE ROCK. 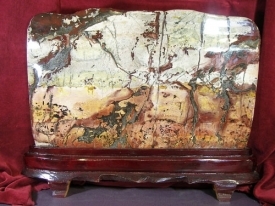 A WONDERFUL GIFT FOR THE ONE YOU LOVE, AS A PRESENT, OR JUST FOR YOURSELF..